The robots haven’t taken over just yet, but they are well on their way. How are sales chatbots transforming the sales process and where are the quick wins? BabelQuest has done an excellent job of showing us how to scale our sales effort with the HubSpot Growth Stack. Onboarding a new sales hire took me just two hours on the tools and systems and a couple of days of training in the field. So far, all our new ‘Wheeler Dealer’s’ closed their first sale within four days of starting. The Dealer App are a start-up business with typically limited resources, spending time, energy and money on a CRM as well as training to use it wasn’t on the agenda. The two founders were full of energy and enthusiasm, but all the demands on their time were beginning to cause major bottlenecks to their growth. 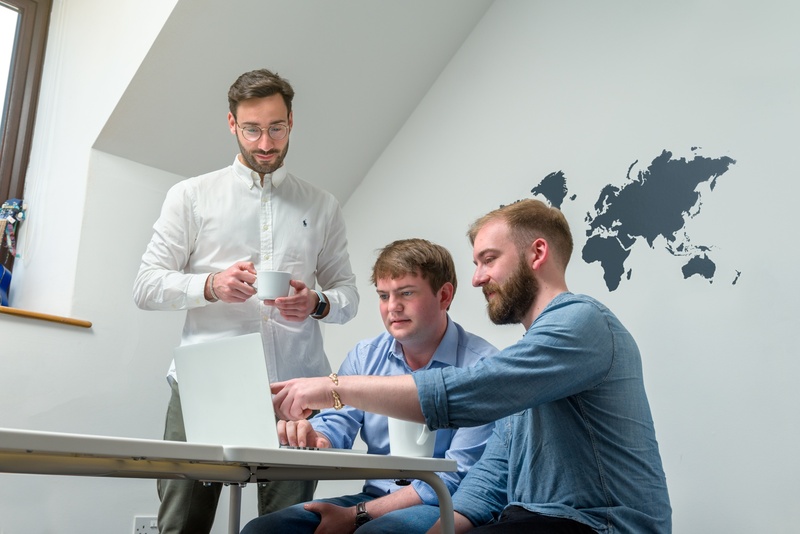 From an amazing start in their first city of Oxford, they knew that they could scale their business very quickly if they could repeat that success in more cities before the start of the academic calendar in September 2017. But that meant getting out in front of more people, signing up more venues, as well as scaling up the app’s user base. We're mentors for the Fab Accelerator, Oxford’s newest startup accelerator, where new businesses are trained, supported and matched with investors. This is where we met Ed Alun-Jones and Henry Hayes, the dynamic duo behind The Dealer. Their main challenge within the sales process was getting hold of the venue owners at the right time. These are busy restaurateurs and bar owners (scoring more than 3.5/5 on TripAdvisor or they don’t get in), and they don’t work office hours. We knew we needed to show them how to uncover a prospect's best time to talk and how to gain recognition and get value quickly in the first connect call. So we took all the same tools and processes that we have developed with our own business and our well established clients and turned them into easy-to-use chunks that high-growth start-ups like The Dealer App could deploy instantly. 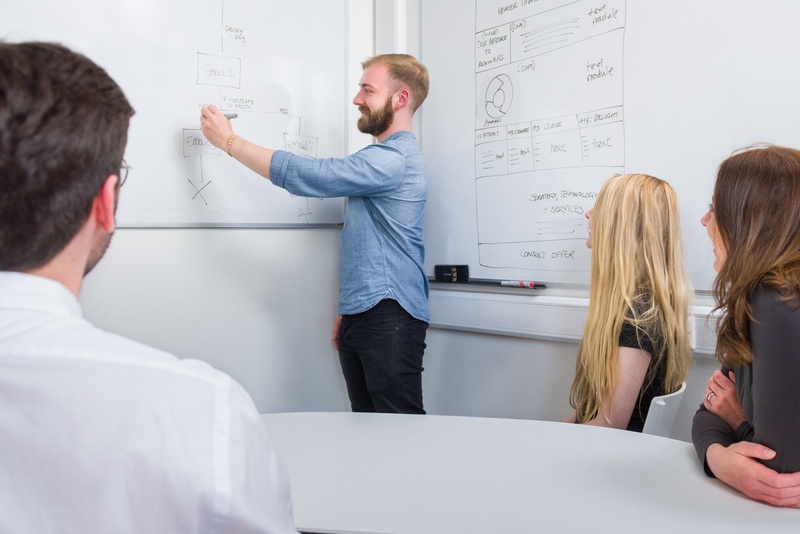 Delivering an excellent and robust inbound marketing strategy is usually front-loaded with research and planning, content marketing strategy, technical setup, and project management. That isn't suited to start-ups, which typically need quick wins. Thinking outside of the box, we recognised that by focusing our attention on helping The Dealer App to deliver value to their customers quickly, we could help them build a predictable and scalable revenue stream that would get them to their next milestone, without too much time or money. We helped The Dealer App work out how to turn their sales activity into a defined process that could be measured without any additional workload. It also needed to be intuitive and easy to train. We set up and configured their HubSpot CRM and Sales PRO, built the deal stages, lead views, and set up the email integration. Then we trained them on how to use the tools, how to use them to identify and connect with a new prospect, and then how to set up and train new salespeople. We reviewed their sales process, and delivered sales enablement services to help them to optimise it around the HubSpot CRM and Sales PRO’s capabilities. This included using the meetings, templates, and sequences tools, and the notifications to identify when these extremely busy and hard-to-catch prospects were most likely to be open to taking a call. We started working with The Dealer App when they were in their initial pilot, and had just won their 42nd venue and 2,000th user in Oxford. Quickly, we helped them replicate that success in Cambridge, and then they relocated to be in easier access to the Universities with the much larger student populations in Manchester and Liverpool. They are now serving over 230 venue clients, and are set to scale up to more than 500 during the next quarter’s campaigns. Their App user base has to date grown to over 7,000 active users, and is on course to hit 20,000 next quarter. That's a 250% increase in users between March and August. This rapid growth in sales and reach has been enabled to get new sales people onboard and selling to a defined process in a short space of time. The Dealer App has taken on seven sales consultants in under three months and they are all successfully hitting quota. We’ve created sophisticated reporting using the HubSpot Reporting Add-on, and created deal pipelines for each new campaign city. This not only creates excitement for the team but a healthy, competitive edge to each of The Dealer App’s ‘Wheeler Dealer’s’, and motivates them to beat their previous best performance. The impact we made for The Dealer App was to create predictable and scalable growth of the amount of venues they could sign up in a short space of time. Getting momentum in a new city meant creating an impact for the restaurant venues, and so driving up app user numbers because more venues are promoting offers with the app. Being able to get new sales people active and signing lots of new venues quickly enables The Dealer App to create a big impact when they launch in a new city. BabelQuest has set ab example for how businesses everywhere should be transforming their marketing with inbound. Their strategic approach to attracting, engaging, and delighting customers has not only built valuable relationships with their audience, but has driven growth for their agency and the inbound movement. The scene is set for the start of September term in Liverpool, Manchester, Cambridge, Oxford and now Swansea. Each city now has a core of top venues recruited, and the user launch kicks off at the fresher fairs at 10 universities across their five cities, with a total exposure to over 211,000 new students. The next step for us is to work on scaling individual sales performance as well as scaling the sales team. We’ll be bringing in the excellent resources from the HubSpot Academy, as well as automating the marketing and onboarding of new clients to drive success. The Dealer App are now implementing HubSpot Marketing PRO and migrating their website to the HubSpot COS. Following this success, BabelQuest have now helped The FAB Accelerator to become a HubSpot for Startups partner, and has already got another four startups beginning their scaling-up journey on the HubSpot Growth Stack. As HubSpot have lowered the barrier to entry for high-growth businesses with the Growth Stack, BabelQuest have also lowered the barrier to entry by supporting high-growth-potential startups with a low-to-no cost scalable service model for the Growth Playbook. 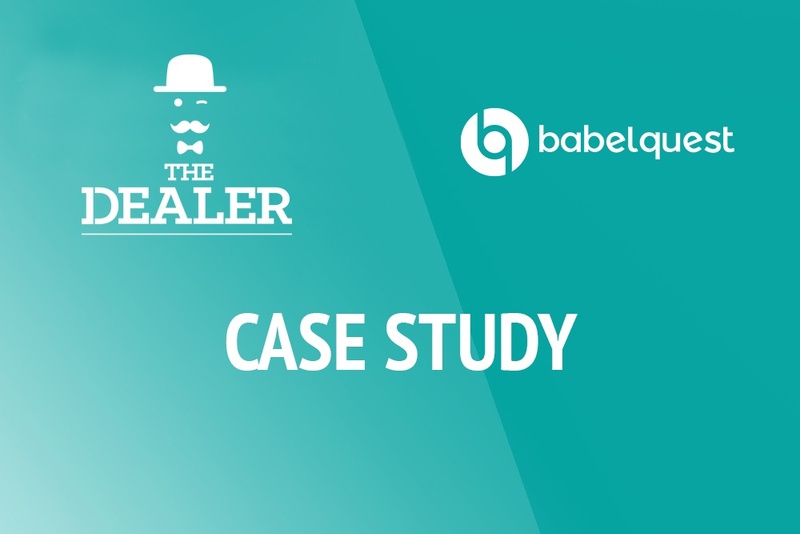 BabelQuest was one of the first UK agencies to proactively explore and execute on the market for sales enablement services. They have since excelled in the space, driving measurable results and providing additional value to their clients.